The alleged suspect in a fatal robbery has turned himself in. NBC6 Reporter Erika Glover has the story. Farhana Ali's husband was fatally shot during an armed robbery just months after nearly losing two of her children in the Parkland school shooting. A friend told NBC 6 the family heard an arrest was made as they were driving home from 61-year-old Ayub Ali's funeral. For everyone else, the arrest means the end of the tragedy. For Farhana, a new life is just beginning as she now has to take care of four children by herself, she said. Deerfield Beach resident Tyrone Moses Fields Jr., 19, surrendered to police, the Broward County Sheriff's Office said late Friday. As of Saturday morning, Fields Jr. remained detained at Broward County's Main Jail in Fort Lauderdale. 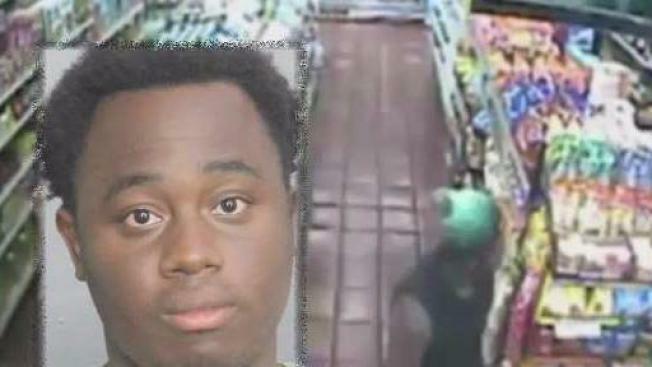 Fields Jr.'s arrest occurred one day after BSO released surveillance video of the armed robbery in which Ali was killed in his own North Lauderdale convenience store. "Following the release of the video, BSO detectives and Broward Crime Stoppers received a number of tips," BSO said in a statement. "The homicide detectives' investigation led them to an associate of Fields' who encouraged him to meet with law enforcement." Ali's friend Joaquin Nieves told NBC 6 he was happy when he heard news of the arrest. "Tears came out of my eyes – happy tears. I was crying. I was so happy," Nieves said. Fields Jr. faces one charge of murder while engaged in a felony offense and one charge of robbery with a firearm. It wasn't immediately clear if he had an attorney. "He took somebody's life. There's four kids without a father right now," Nieves said. According to a BSO report, Lauderdale Lakes BSO deputies and Tamarac Fire Rescue paramedics found the injured store clerk on Tuesday when they arrived at Aunt Molly's Food Store, located at 1691 S. State Road. Ali was transported to Fort Lauderdale's Broward Health Medical Center where he was pronounced dead. On Feb. 14, Ali's daughter was in a classroom in Marjory Stoneman Douglas High School's 1200 building, where the massacre that killed 17 people occurred, according to a family friend. One of his sons was also at the school. The convenience store reopened Thursday and loyal customers placed a makeshift memorial for Ali, who was born in Bangladesh. Ali's employees are operating the store in his absence while his widow – who also works at the store – grieves. On Saturday, people were still arriving at the store to drop off flowers. A family friend said that during a gathering at the Ali family house Wednesday night, Ali's youngest child – a 22-month-old boy – was walking around the home asking for his father. Daniela S. Molina and Steve Litz contributed to this report.